At the end of October I came across this blog on Pinterest and couldn't get those little house blocks out of my head. 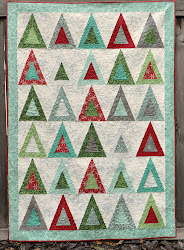 I had a Winterberry charm pack on hand, so I did some quilt math and made a block that wasn't quite right. I redid my math and template drawing, and made 9 little houses. 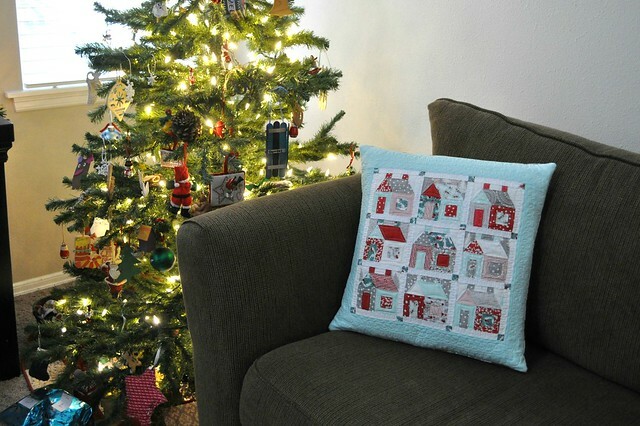 I decided to sew them into a pillow, because I have more space for pillows at this point than I do for Christmas wall quilts. The houses are free motion quilted with an orange peel style corner-to-corner curve design, there's a wavy stitch in the sashing, and the loopy border quilting is a variation on, and my first attempt at the Beginner Loops design from the Inbox Jaunt. You can tell I didn't mark any lines to guide the width of my motifs... I think it looks ok anyway. I made some little log cabin blocks with the scraps and put a row of them on the back. I used some of the leftover charm squares too. 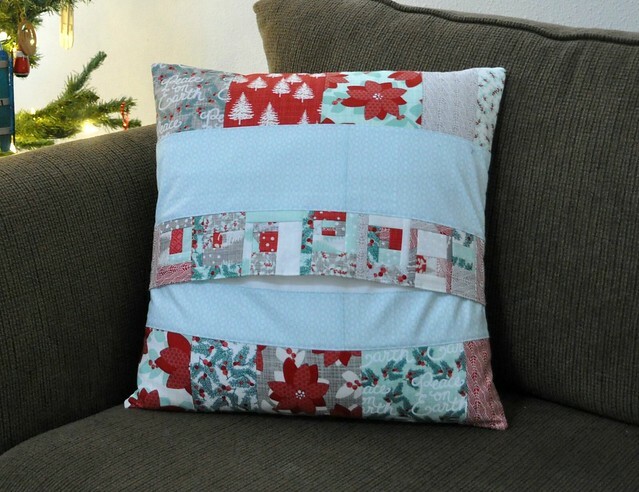 The back isn't quilted, it's a double layer of quilting fabric. 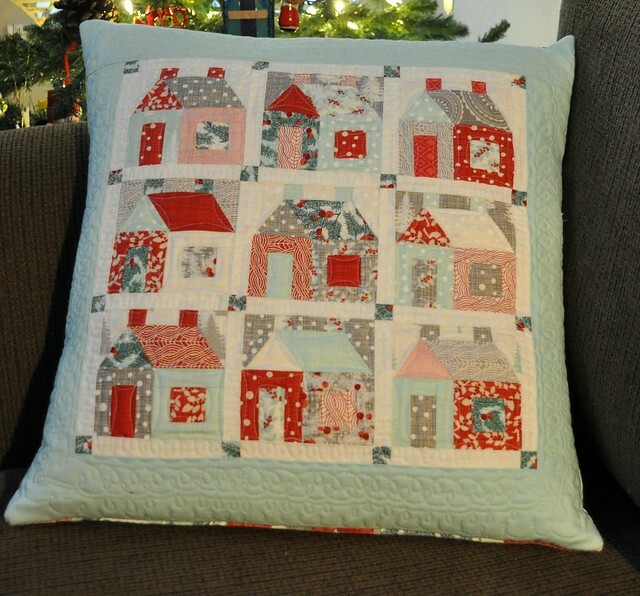 The pillow is 18" square and the house blocks finish up at 3 3/4" square. I'm really happy it's done and looking forward to sewing something with larger pieces of fabric next. Love Love Loooove your Pillow!! Awesome job!!! & very creative!! I love your pillow and it only takes a charm pack with some yardage? That is fantastic! I want to make one. I love your fabrics! !